Gorgeous resort lifestyle in Brickell Heights, steps from Brickell City Centre and within minutes to Downtown, Coral Gables, Coconut Grove, Wynwood, Midtown, and Miami Beach. High-end shopping, restaurants and entertainment. Porcelain wood plank flooring throughout, open concept kitchen, high level Bosch stainless steel appliances, washer/dryer. 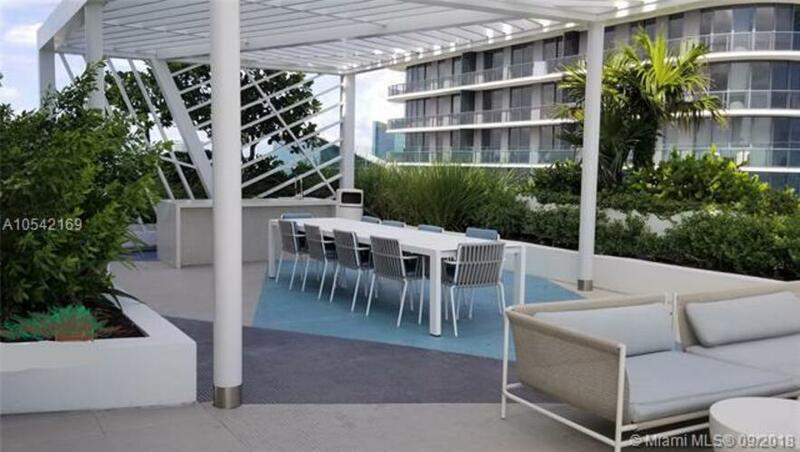 Amenities include two pools, one on the rooftop, and other between the towers with cascading waterfalls, BBQ and entertaining area, spa, recreation rooms, a children's center, private theater room, a business center, access to Equinox gym and a Soul Cycle even a green space for Gardening. CondoBlackBook.com and HB Roswell Realty are not responsible for the accuracy of the Brickell Heights East Tower condos in Brickell Miami information listed above. The data relating to real estate for sale on this web page comes in part from the Internet Data Exchange Program and the South East Florida Regional MLS and is provided here for consumers personal, non-commercial use, It may not be used for any purpose other than to identify prospective Miami Beach area condos consumers may be interested in purchasing. Data provided is deemed reliable but not guaranteed. Listing provided by Miami New Realty.